Scheffel & Company, PC and J.W. Boyle & Co., LTD are pleased to announce their impending January 1, 2014 merger with the formation of Scheffel Boyle. Both premier accounting firms have long established metro St. Louis presences with commitment to client services, as well as, heavily niched service areas. The full service accounting, audit, tax, business and financial consulting firm will now have approximately 90 professionals. 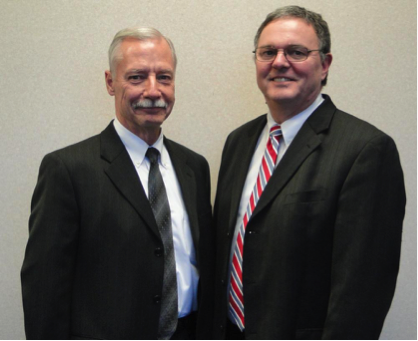 The merger will solidify Scheffel Boyle as the largest locally owned accounting firm in Southwestern Illinois and one of the largest accounting firms in the St. Louis metropolitan area. Scheffel Boyle will continue to have locations in Alton, Edwardsville, Belleville, Highland, Columbia, Jerseyville and Carrollton, Illinois. Established in 1955 and 1924 respectively, Scheffel & Company, PC and J.W. Boyle & CO., LTD will offer their clients 149 combined years of professional service acumen. Scheffel Boyle will maintain its status as the only St. Louis area certified public accounting firm who is a member of the BDO Seidman Alliance, a nationwide association of independently owned local and regional accounting, tax, consulting and service firms with similar client service goals.